Understand the emotions consumers feel when listening to a voice, a piece of music or any other audio. Our audio research is easy and accessible, and can be used by anybody, anywhere. Ever since we started working in advertising, we perceived market research as a wall that separates agencies and brand managers rather than unifying them in a way that is mutually beneficial. The way traditional research is structured is not very helpful in creative processes, as it usually starts after the creatives have finished their work. This is what our closed loop audio research aims to fix. 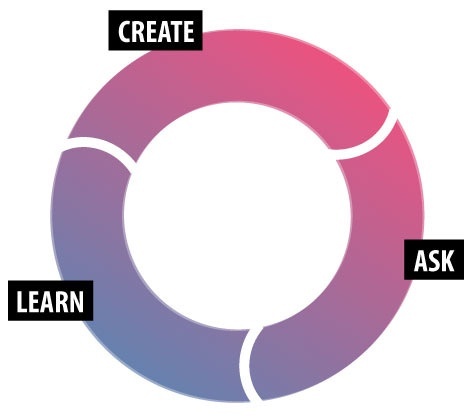 We break the traditional chain and use research as a feedback loop to augment every single step of the creative process. Getting helpful answers starts with asking the right questions. Which is why our audio research comes with carefully pre-built "question sets" that answer common queries about audio communication. These five aspects are assessed using a set of questions optimised for audio purposes, aggregated by our own AI. 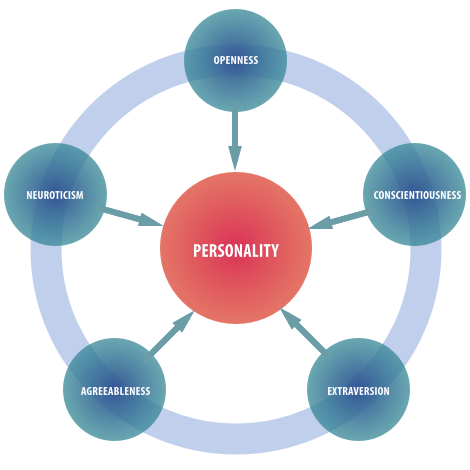 The personality test is a common tool for brand voice evaluation, and we use it as a data source for our Predictive Voice Casting. One of the biggest challenges faced by audio in advertising is predicting the emotional reaction of a target audience to a voice or piece of music. 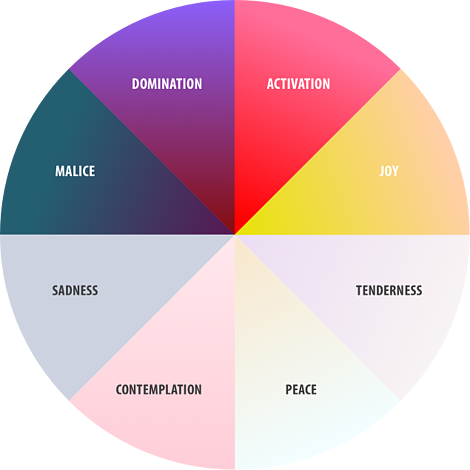 Our emotional model shows eight opposing categories, aggregated using AI. Each of them consists of many more underlying basic emotions. Especially when it comes to music, the emotional perception of a track can vary with region or age – imagine a trap/hip hop track played to teenagers vs. an audience over 50. On the other hand, music can also evoke emotional responses that are universal in every culture. A good example is Mozart’s Requiem, which is perceived as melancholy by nearly every audience. The kind of questions necessary is often very project-specific. In these cases, a standard question model may not be particularly helpful, which is why we offer an easy-to-use approach to building customised sets of questions. To get the most valid answers, you not only need to ask the right questions – you need to ask the right people. 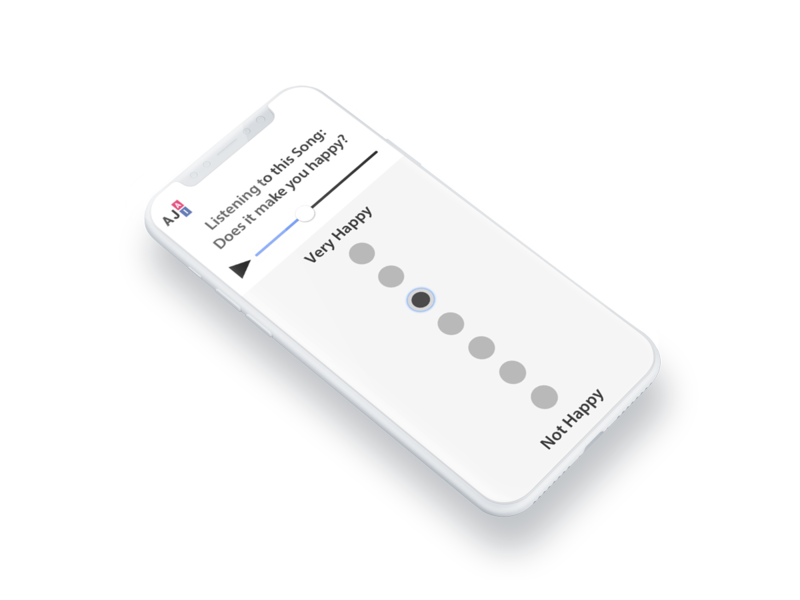 We are able to connect our surveys to almost any relevant research panel in the world to help you find the right audience. Using our built-in panel, it only takes a few hours to start getting results. The bad news: our algorithms can’t make decisions for you, so you still have to use your brain and your own judgement. But what our algorithms can do is support your decision-making process with an objective third-party view.